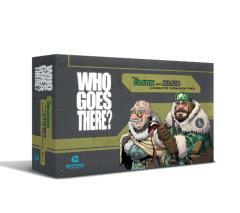 Product Line: Who Goes There? Add CLARK and BLAIR to the team! Turn your Who Goes There? base game into a 6 character game. Includes two character boards and extra accessories, as well as Clark and Blair minis.